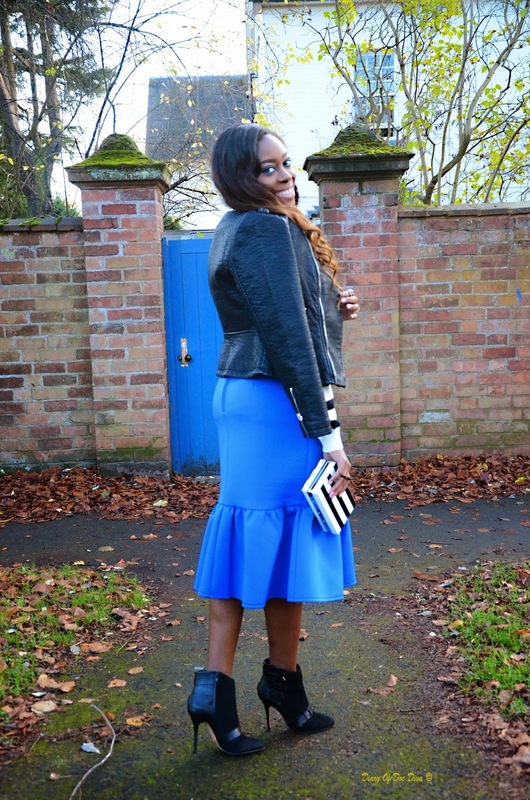 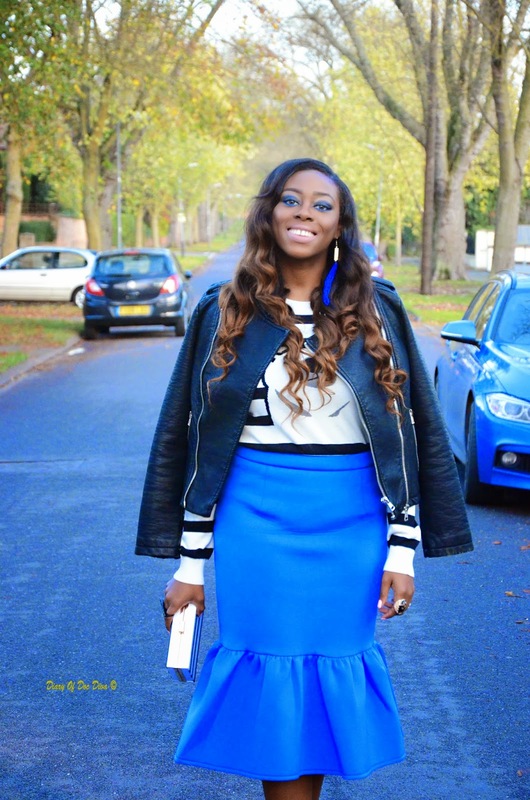 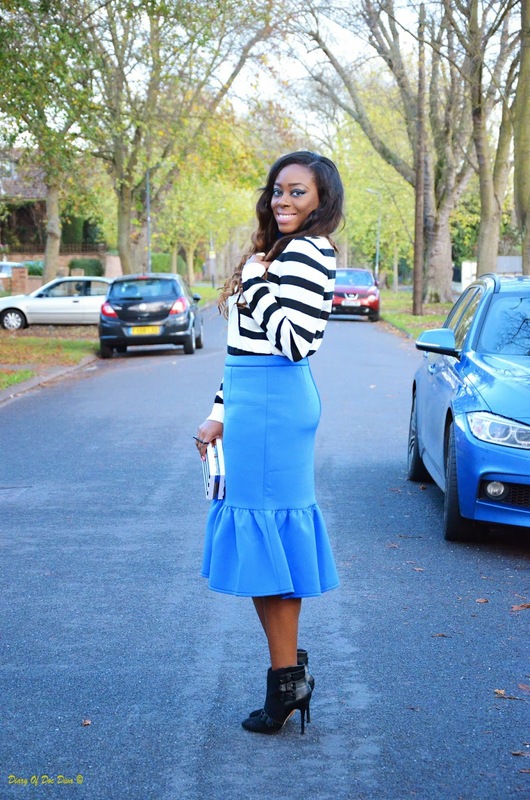 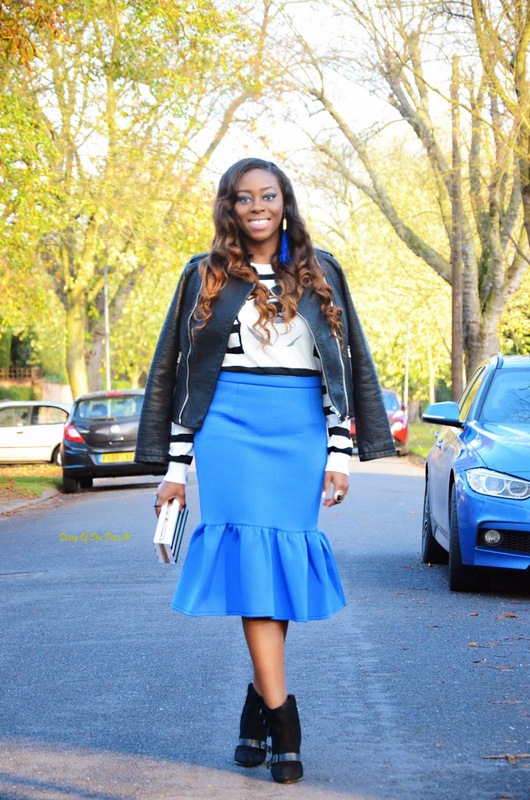 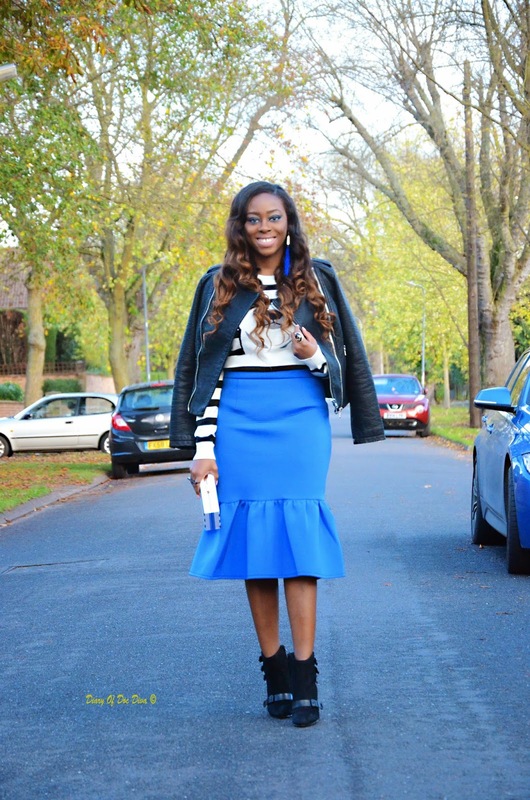 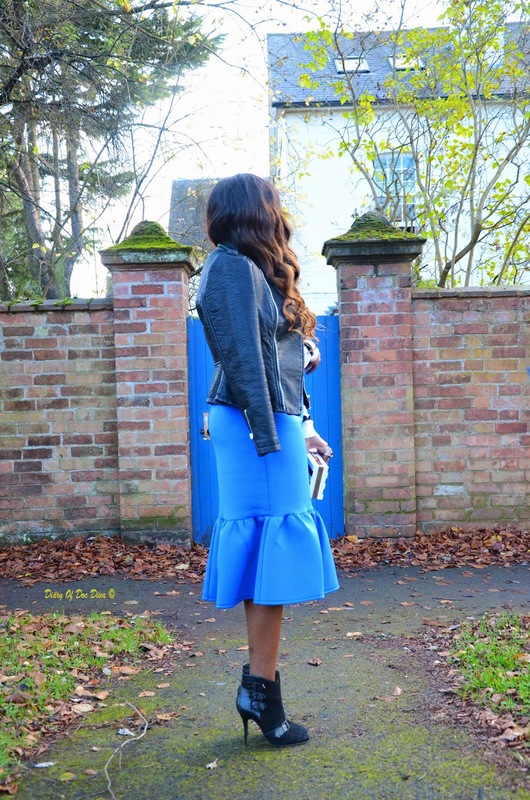 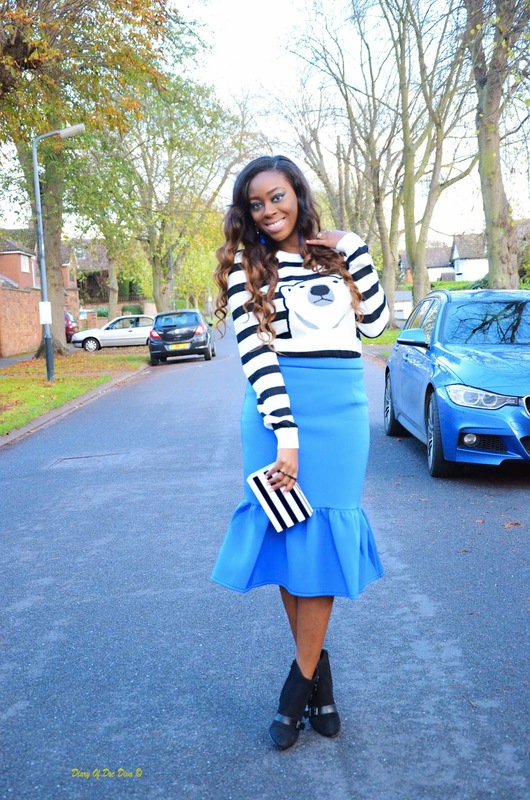 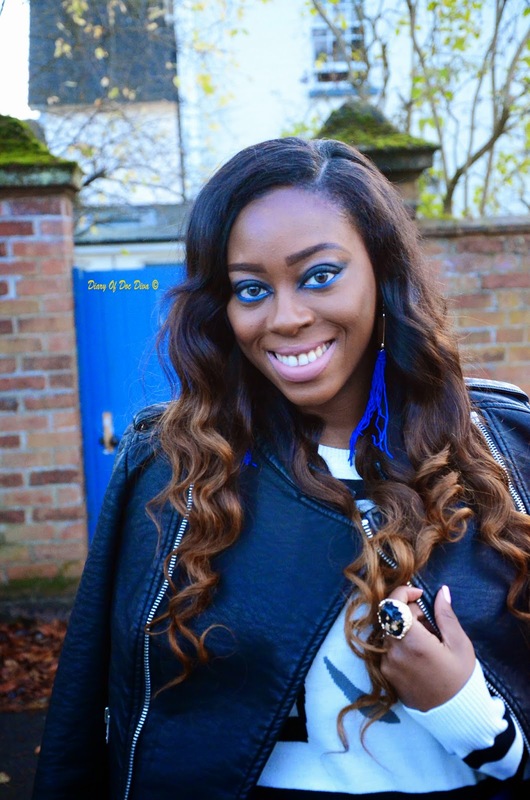 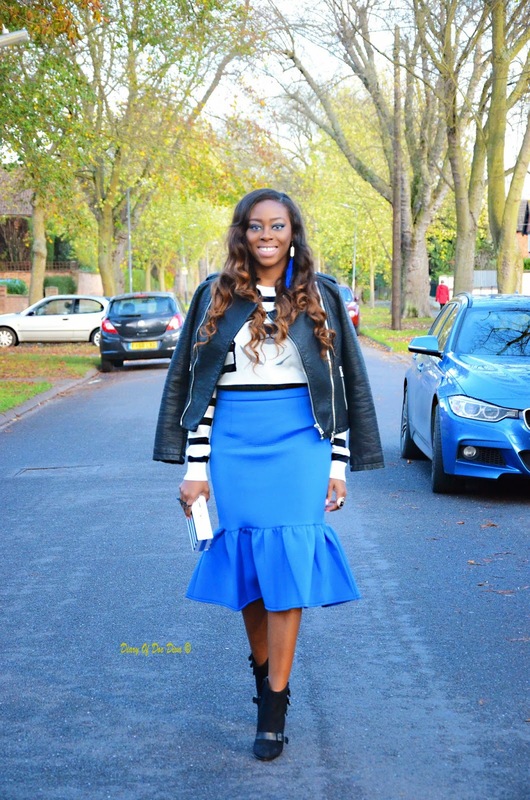 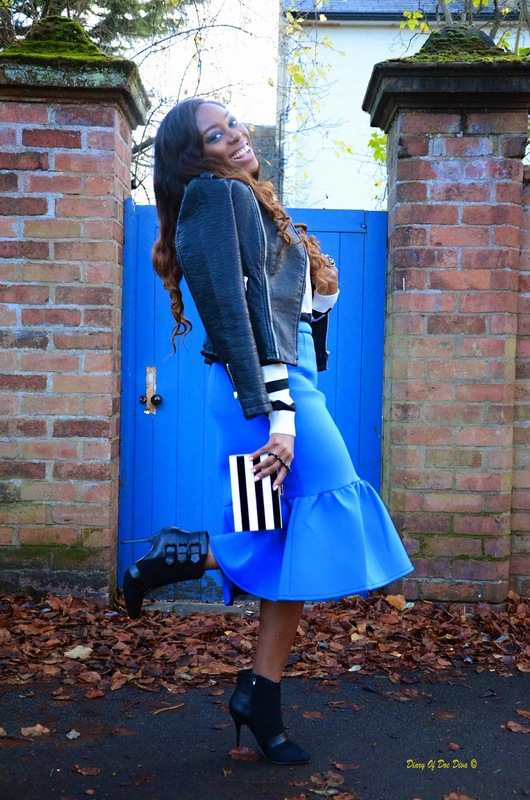 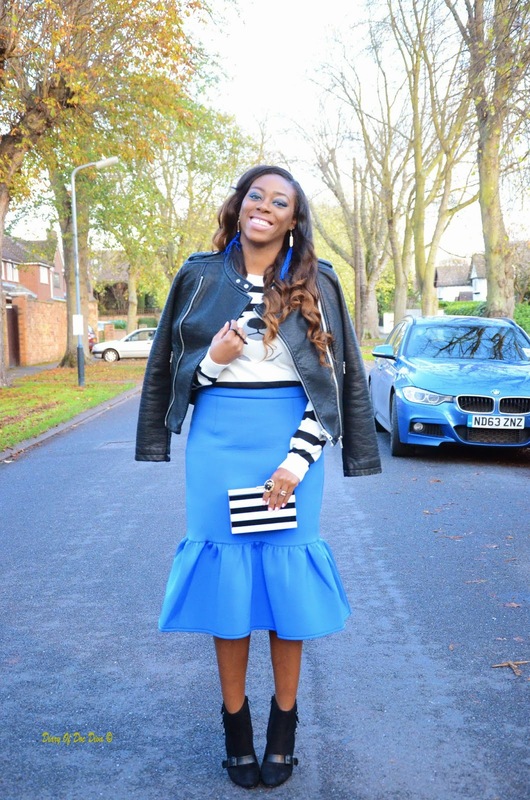 I love this blue peplum skirt from ASOS, and I styled a different color of it HERE. 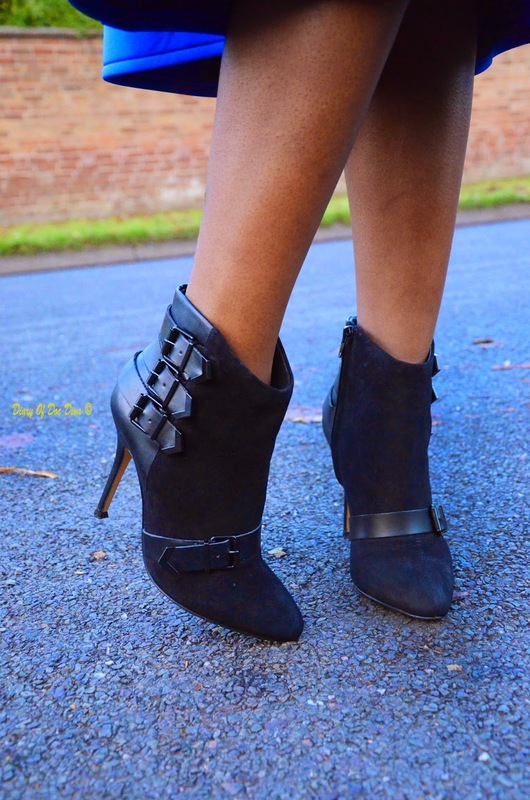 When I saw it was on sale, it was a no brainer to cop it at a much cheaper price. 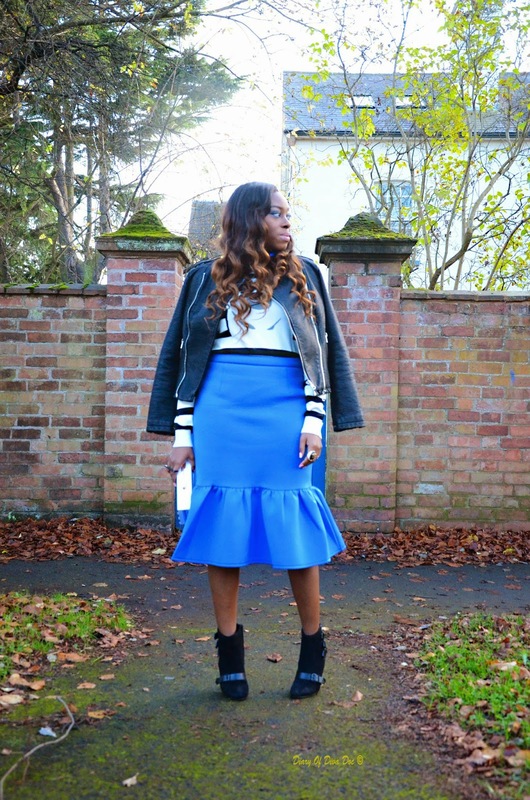 The great thing about it is the texture of the material, which is perfect for the winter. 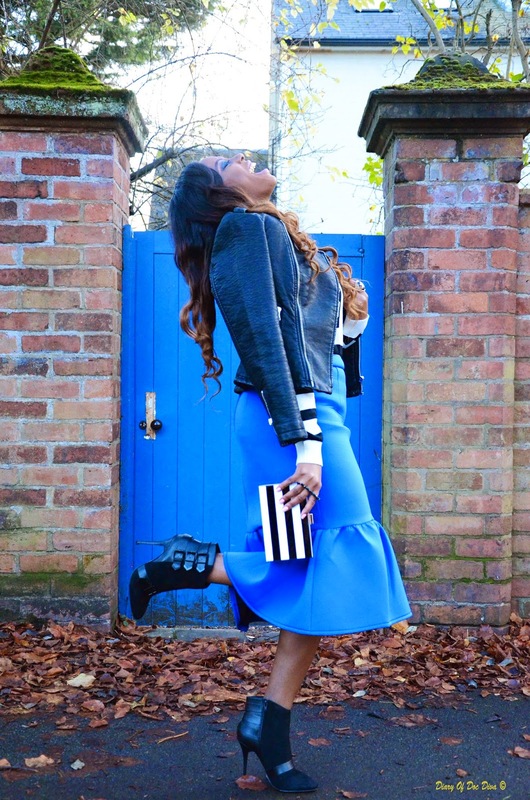 This is how I styled it to Church with my striped sweater. 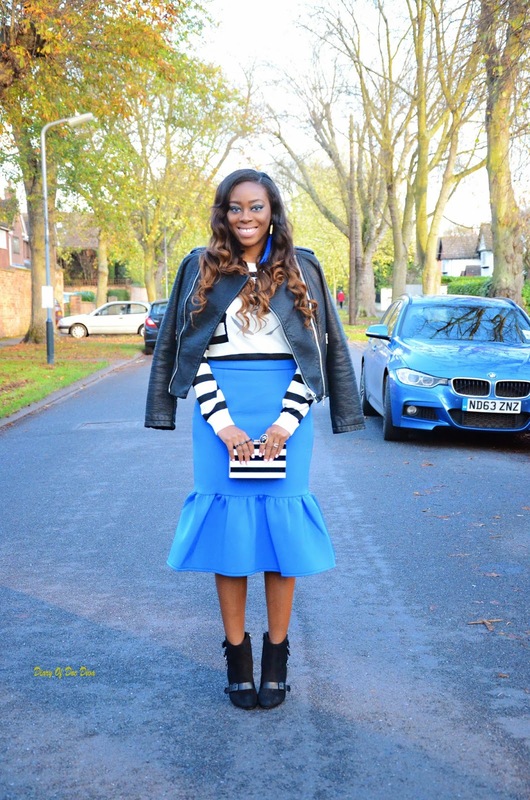 Beautiful look. 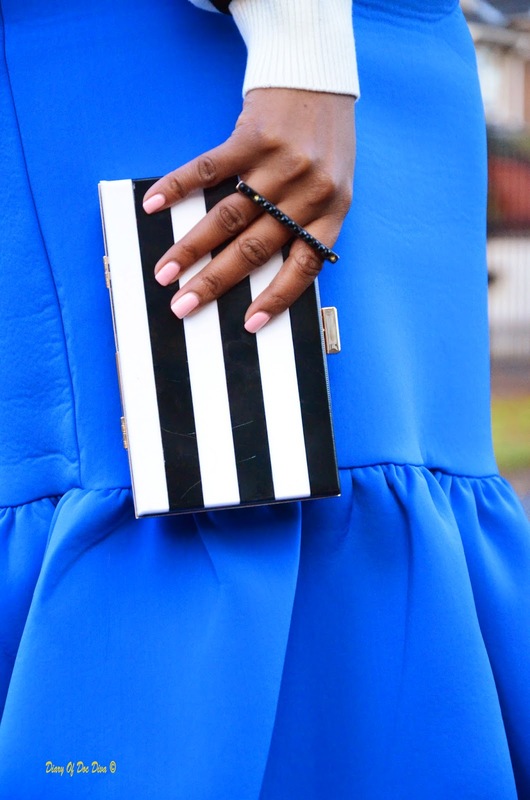 Love the blue paired with black and white.